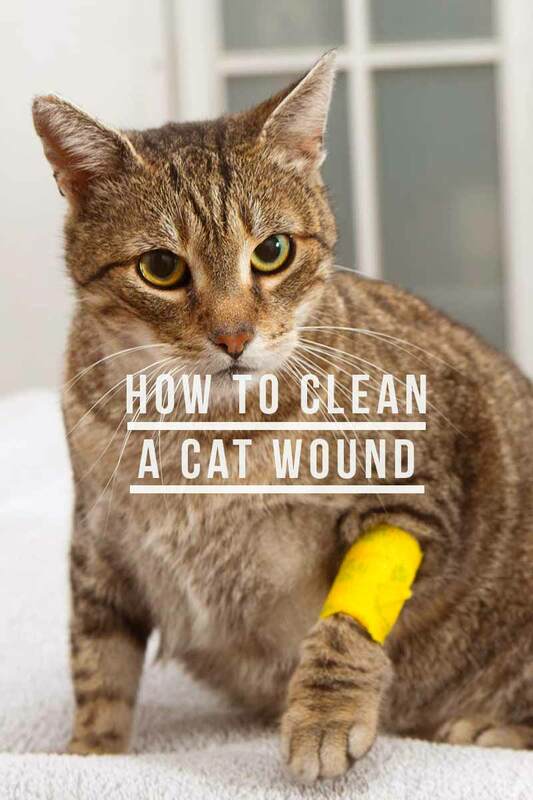 With luck it will never happen, but if you ever need to know how to clean a cat wound, here’s our complete guide to treating cat wounds at home, and knowing when to get expert help. 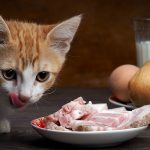 Your precious kitty may be the sweetest pet in the world, but the cats, dogs, and other wildlife in your backyard may not think so. Cats fight, especially between themselves. According to the Humane Society of the United States, cats are aggressive for a wide variety of reasons. Cats fight for territorial, defensive, health, and stress reasons. So, even if your feline does not go outside, if you have more than one cat you should always be prepared for a fight and some possible injuries. 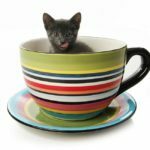 What happens when your cat gets injured and requires treatment? 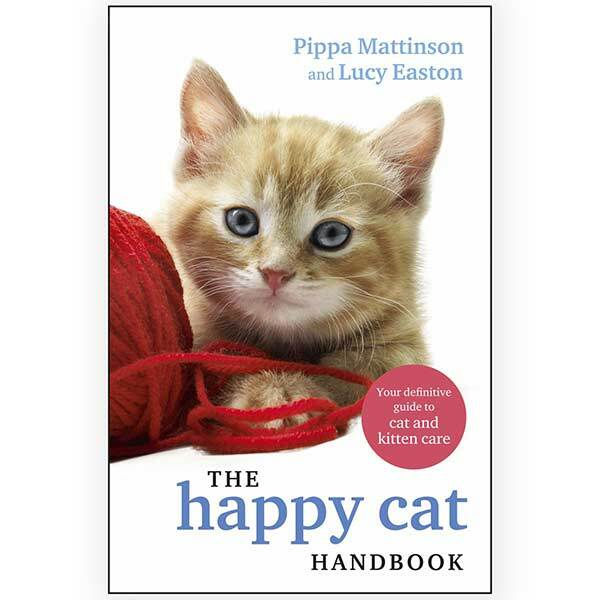 Then you need to know how to clean a cat wound, and when to call a vet. We’ll help you with both right here. Should I Clean A Cat Wound? Before you do anything else, you need to figure out if you should take your cat to an emergency veterinarian. Bleeding is an emergency, especially if blood is lost in large quantities. Felines also have a lower percentage of blood volume by weight than humans – 6.5% instead of 7.5% or 8%. So, basically, cats have far less blood to lose before shock sets in. The symptoms of shock, or dangerous blood loss, include pale gums, rapid breathing, increased heart rate, and low blood pressure. If you notice these symptoms, seek emergency veterinary care immediately. Open, gaping wounds are also an emergency, like long and deep cat fight wounds. These wounds can easily develop infections and often require stitches. A cat puncture wound is problematic as well. While a puncture is not usually considered an immediate emergency since bleeding is minimal, bacteria like Clostridium tetani or Pasteurella multocida may be present in the wound. Clostridium tetani can cause tetanus infections and Pasteurella multocida can lead to the development of abscesses. Veterinarians can flush out wounds to remove the bacteria and they can also prescribe antibiotics to kill pathogenic microorganisms that remain in the wound. If you believe that your cat’s wound is minor with minimal bleeding and no punctures, then you can treat the wound at home. Start the treatment by securing your cat. A wiggling cat is impossible to treat and the movement may worsen the injury. Work with a family member to hold your feline or wrap them securely in a towel. Once your cat is secured, you can clean the wound. You will need a syringe, like an oral syringe used to give animals medication. You can use plain water in the syringe to flush out debris or a saline solution. Plain water will not kill bacteria, so a saline rinse is a better option. You can purchase a saline solution at your local pharmacy or you can make one easily at home. To make the solution, add about one tablespoon of salt to one quart of warm water. To clean cat wound with salt water, simply fill the syringe and release the water across the wound. If you want a more aggressive antiseptic for cats wounds, then you can use chlorhexidine diacetate. You can find this at your local animal supply store. You want the rinse solution, not the scrub product. Chlorhexidine is safe and effective as an antimicrobial agent for use on animals. In fact, it is often used for treatment of feline skin and gum infections. While chlorhexidine is safe for use as an antimicrobial rinse, you do want to dilute it further – dilution will keep the healthy skin cells around the wound from becoming damaged. Add one tablespoon of the antiseptic to one gallon of water, then use the solution to rinse the wound with your syringe. Iodine can be used during the cleaning process too. It is not as effective as chlorhexidine at cleaning wounds, but you are more likely to have a plain old bottle of iodine laying around the house than to have a chlorhexidine solution. Create a 50/50 iodine and water mixture to use the iodine as a rinse. Use a sterile piece of gauze to pat the wound dry when you are done. Can I Put Hydrogen Peroxide On A Cat Wound? If you have a cut or scrape, you might reach for some alcohol or hydrogen peroxide. So, should you do this for cleaning cat wounds? Hydrogen peroxide is a strong antimicrobial that is capable of killing a wide range of microorganisms. However, it will damage the healthy cells around the perimeter of the wound too. Specifically, studies show that the application of hydrogen peroxide on a wound will result in the delayed formation of connective tissue. Connective tissue is needed to heal and close the wound. However, the same studies show that low concentrations of hydrogen peroxide can actually help with the healing process. This is very confusing, we know! It is best to leave the hydrogen peroxide flushing to your veterinarian. Animal professionals can best decide if the antimicrobial power of the fluid is worth the possible cell damage, and choose the right concentration. Is Rubbing Alcohol A Suitable Antiseptic For Cat Wounds? Rubbing alcohol should be avoided. Isopropyl alcohol is toxic to most animals, including cats. In fact, it is much more toxic than ethanol (the alcohol you drink). So, it is best to keep rubbing alcohol away from your pets to avoid possible ingestion issues. Once the wound has been cleaned, you may be tempted to place a bandage on the wound. You can skip the band-aids and gauze. Securing a bandage on a feline is not an easy task, and many people will wrap bandages too tightly. This can cut off circulation and lead to healing issues. Thankfully, wounds heal better when they remain uncovered, as long as they are small. If the wound is large, then ask your vet how to bandage a cat wound or whether or not this is necessary when it comes to open wound on cat. What About Ointment For Cat Wounds? You may also want to know, what can I put on my cat’s wound? Well, according to the Cornell University College of Veterinary Medicine, you can use ointments like Neosporin, or really any other type of triple antibiotic product. Add a thin layer to the wound with a sterile cotton pad. You can also use a cat wound spray. These sprays are sometimes easier to use since they can be sprayed directly on the wound without having to secure or hold your feline. Most wound sprays contain an antimicrobial agent called benzalkonium chloride. This heavy-duty sounding compound is actually a mild antiseptic agent commonly called a quat (short for quaternary ammonium compound). Quats are safe, long-lasting, and effective ingredients for cleaning and disinfection. Most importantly, they will not make your feline sick if your cat decides to lick the wound. You can usually use the wound spray a few times a day, but you should ask your veterinarian what is best based on the type, depth, and location of the wound. So, you have made your way through cat wound treatment. What now? Well, now is the time for healing, and you should inspect the wound carefully to make sure it is going through the proper cat wound healing stages. Of course, the most important thing is to look for signs of infection. The obvious signs include a red and swollen wound, the formation of pus, a foul odor, and a low-grade fever. 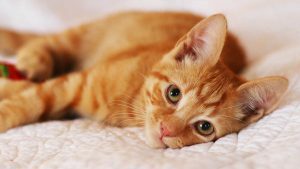 Your feline may be lethargic and irritable as well. If you suspect an infection, contact your veterinarian immediately. If the wound heals on its own, then you will see it going through a few distinct stages. You will be watching it go through the repair and maturation stages. Typically, non-serious wounds will heal within about five to seven days. During this time, a scab will develop. Underneath the scab, collagen will form that closes the open wound. As new tissues develop and move towards the surface, the scab will fall off. When the scab falls from the skin, you will see new, pink, and smooth tissues. This is the newly formed collagen and you should see hair starting to regrow along the wound area within a week or two. 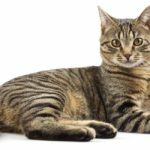 How To Stop Cat From Licking Wound? If healing progresses normally, then you will undoubtedly see your cat licking wound. Licking is a natural instinct that helps with cleaning to remove bacteria and debris. The wound is probably pretty itchy too. If you cleaned the wound properly, then your cat will likely introduce bacteria to the area instead of removing it. So, you need to keep your cat from licking the wound. This is definitely harder than it sounds, but there are a few good tactics you can use. You can purchase a traditional cone and place it on your feline’s neck. This may not be wise for something like a cat wound on neck though. For situations where a cone will just not do, you can purchase an anti-lick spray or ointment. 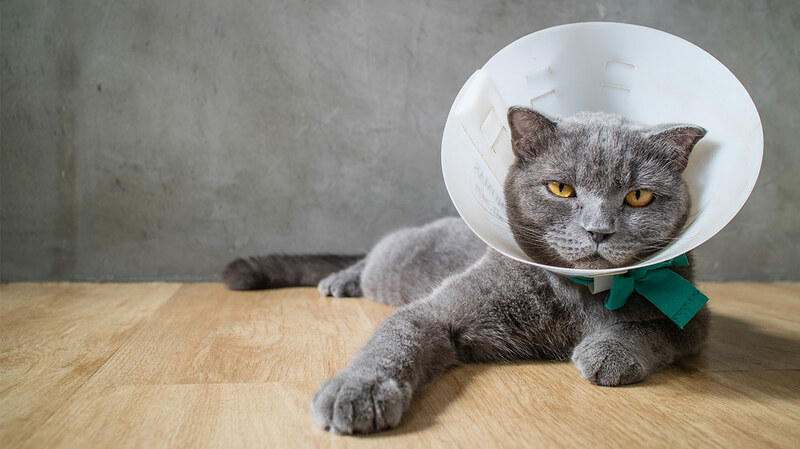 Ask your veterinarian for suggestions, as the topical product is often used around spay incisions to prevent cats from ripping out their stitches. Fights, scuffles, and minor injuries are common in the life of a cat, and you can successfully treat minor scratches and scrapes at home. 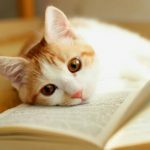 As always, if you have questions about how to clean a cat wound, what to put on a cat’s wound,, how to keep your feline calm while you treat him, or how to treat a cat wound in general, then contact your veterinarian for advice. A veterinarian is also the person to see if bleeding, punctures, or wide wounds are seen on your cat. Also, you want to be mindful of wounds that are exceptionally dirty or that show signs of infections. Are You a Pro at Cleaning Cat Wounds? Is your feline often in a scrape? 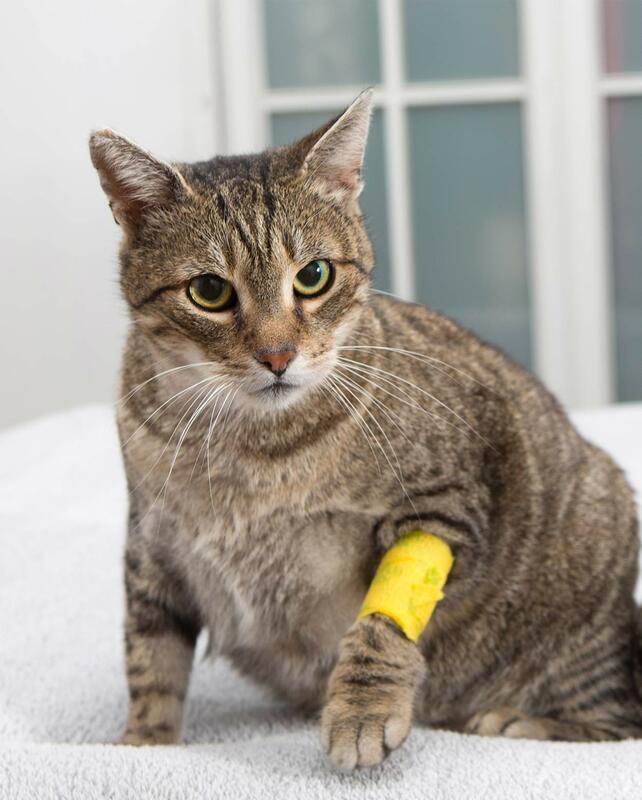 Or do you know exactly how to spot a cat infected wound? Lloret A, Egberink H, Addie D, Belák S, Boucraut-Baralon C. Pasteurella multocida infection in cats: ABCD guidelines on prevention and management. J Feline Med Surg. 2013 Jul;15(7):570-2. Alvin Eng Kiat Loo, Yee Ting Wong, Rongjian Ho. Effects of Hydrogen Peroxide on Wound Healing in Mice in Relation to Oxidative Damage. PLoS One. 2012. Many people in the area we live in insist on not spaying and neutering their pets and just leave them out come bitter cold, rain or shine. So of course, we have a mass rate of helpless kittens running around (we see so many dead or hit by cars or attacked). Anyway, we feed and aid every outdoor animal as best we can and recently a little cat came to us hurt; we don’t have much, and so your website really helps us to do a lot with a little. Thank you for the all the helpful information!